- Software that uses the MSX-Music via BIOS. Right now those are the games produced by ASCII and the FireHawk HDD. Ok. Then the specs changed since the last time. Nothing against it. This approach has the advantage of being much faster, and the disadvantage of not allowing the YWR801 ROM to be updated anymore, and will require two ROMs (or flash chips) if the BIOS is present. The approach with the BIOS has the disadvantage of taking more time on the 1st boot, but the advantage that the cartridge PCB would be much smaller and cheaper, as everything would be done with a single ROM (flash) chip. 2) The BIOS then tries to detect if the I/O ports C0h and C4h are free, assigning its own OPL4 to the free I/O ports. This allows two cartridges to be easily connected together. It will even work fine with the old OPL4 cartridges that have fixed I/O ports. The original MSX-Audio BIOS also does this. 3) If A+B is pressed, the MSX-Audio BIOS will clear its own entries in the SLTATR table and copy a helper routine to the MSX RAM. This routine will select an empty page in the frame-1 of the MegaROM and return the processing to the MSX boot. Simple as that. OK. You are all right and any software approach is welcome except that you wrote "YWR" instead of "YRW"
flash memory chips are needed. 2. Bypassing BIOS by software approach is OK. I need a hardware switch to prevent a broken BIOS working incorrectly. I don't think you could even find a YSS225, but also I think you don't have to. The digital outputs (FM, WAVE and MIX)of the opl4 are quite standard. You can probably connect some other effect processor to it. I don't know if there is an effect processor chip with more than one input that also replaces the YAC513. You wouldn't want to mix the outputs together again in the analogue domain. Also the opl4 only has one bit per channel to select the output. There is no volume control per ouput. But It would be easy to implement. 1) Kill-BIOS switch: You're right: it's wise to include the kill-BIOS switch. There's one aspect in the software approach I forgot to mention yesterday:it can disable the MSX-Áudio compatibility, but a ROM game in a lower numbered slot would still be able to find the MSX-Music part, as the BIOS wouldn't have had the chance to disable itself yet. 2) Flash: Can't the AM29F032 be used in this cartridge? It's 4MBx8/5V. Agreed that, since the YSS225 wasn't used, maybe another effects processor could be used instead. But why wouldn't you want to mix the outputs in the analog domain? Every sound source in the MSX is mixed this way, and the Y8950 cartridges also mix the ADPCM with the FM sound this way. The NMS-11205 even have that extra DAC that is mixed this way too. When the Effects processor is included and mixed this way, the bits of the C0h set of OPL4FM registers will be used to select which FM channels you want to route to the effects processor, and which you want to do direct output. As you can imagine, this is very powerful. Similarly, the PCM channels can be individually selected to be rooted to the effects processor too. I don't know AM29F032 is still available, even if available, it's price seems more than 30USD in Korea. YRW + small flash combination is cheaper solution. Then wasn't MSX-AUDIO v1.3 tested on the pure (without any other sound cartridge) OPL4 cartridge? Adding a digital output - toslink, coax? Is that possible? It was tested with the OPL3 cartridge. Since there's no WaveTable support yet, there isn't any other significant difference between the OPL4 and the OPL3. Unfortunately, nobody has built any OPL4 cartridge with the BIOS yet. The MSX-MUSIC compatibility in MSX-AUDIO BIOS is a hack. I prefer clean hardware without hacks. If you want BIOS that badly, just put it on a separate cartridge! Please don't poison Moonsound with your pet project... Remember, MSX-AUDIO was deprecated when MSX-MUSIC arrived. Don't lie about compatibility with MSX-MUSIC or the "quality improvement" of BASIC songs... there is no improvement with this BIOS, only dirty hacks. Option 3 is best option. For me, even YRW801 is not required. Anyone can load it by software before running legacy Moonsound programs. A brand new account with only 4 posts, some technical knowledge and some quite strong words, like "poison", "hack", and "pet project". Is it only me that a smell a puppet here? If this isn't the case I hope it wasn't created to start yet another flame war. If you dislike the BIOS, there's nothing I'll say that will change your mind. There's nothing to win from that. But when you try abort an innovation, you're trying to make people not have something that they could. And you know that there are already plenty of nearly functionally identical Moonsound clones out there just with the limited specs you desire. Just buy one that pleases you most. A bonus tip: If you don't like the YRW801, it's very easy to remove it from a Tecnobytes Shockwave since the chip is DIP. But please, you don't need to create a puppet profile to defame other people's projects. I really hope you aren't some guy I heard that likes to spawn in these forums from time to time just for the pleasure of bashing other people's ideas. Remember, MSX-AUDIO was deprecated when MSX-MUSIC arrived. Do you have any references for this information? 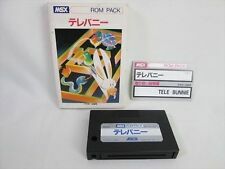 Because the source I checked is called "MSX Turbo-R Datapack", and AFAICR doesn't mention anything like that. What it mentions with very clear words is that user programs aren't allowed to do direct hardware I/O. And this is clearly stated in the MSX-Music chapter too. The reason, as you know, is also clearly stated in the MSX Technical Handbook: the maker was allowed make hardware changes and change the BIOS to hide the differences. Even the keyboard interface is mentioned that could be completely different, like using a wireless chip to do the job. Along these lines, I believe that the MSX-Audio BIOS v1.3 is no hack. It implements the FMBIOS calls inside the MSX-Audio BIOS. Since the MSX-Music BIOS was itself just a subset of the MSX-Audio v1.0 BIOS, my think that this convergent evolution is perfectly acceptable. Even better, to me it's like merging a fork back to the original source. ;) . But that's only my point of view. You're not required to agree. Option-3 might be your best option, but certainly is not everyone's best option. And I wouldn't try to impose: it's JunSoft's project, and he's probably investing his scarce spare time for that. I'm just trying my best to contribute with some ideas, tips and options (as I do for many other projects), but its his choice to decide what's best for the design. I don't dislike the MSX-AUDIO BIOS v1.3 as I use it in my Philips Music Module, where it belongs. I just don't think it has anything to do on a Moonsound clone. 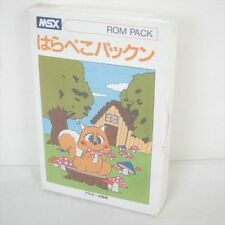 As for your claims about the MSX Datapack, you'll notice MSX-AUDIO is in the MSX2 volume and not the turvoR one. MSX-AUDIO as a standard was deprecated with the coming of MSX-MUSIC. Although some minor backwards compatibility was provided it was never intended to be interoperable. You're pushing for the inclusion of your project hard, so why are you surprised about equally strong opposition? Trying to hide genuine concerns by calling them "flame war" and "bashing" is rather sad. Who do you think you are?